Violence prevention research findings suggest different key aspects for the application of a powerful prevention strategy. The project presented in this book tries to tackle the complexity of supporting a healthy mental development in children while also meeting the requirements for successful prevention. Resilience promotion proved to be a suitable concept for implementing a violence prevention strategy in secondary schools. In this practice-oriented research project, partners from France (IRTS, Rennes), Germany (ZfKJ, Freiburg), Poland (Breakwater Foundation, Krakow), Portugal (PFSE, Porto) and Sweden (University of Halmstad) co-operated in a two-year project with the aim of supporting schools in developing a resilience-promoting and violence-preventing strategy in a multi-level and multi-setting approach. As a result, a toolbox for resource-oriented training in schools for teachers and pupils was created. The measures undertaken during the project have been evaluated empirically and the influence of resilience-promoting activities in schools has been assessed. 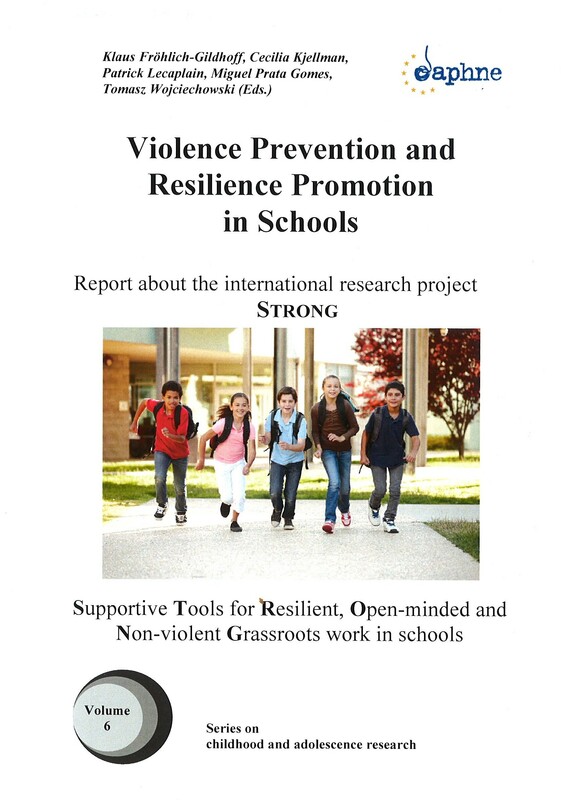 This publication addresses not only practitioners in schools seeking information on how to implement resilience-promoting activities, but also lecturers and researchers from the field of violence prevention and resilience promotion. Daphne III Programme of the European Commission.